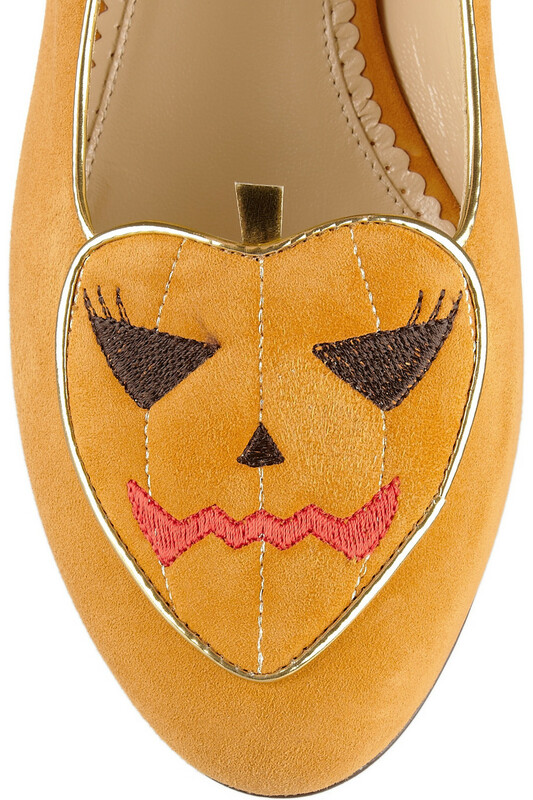 Today's So Shoe Me is the Trick or Treat Embroidered Suede Slippers by Charlotte Olympia, $745, available at Net-a-Porter. Leave the tricks at home and treat yourself to these seasonal suede jack(ie)-o-lantern flats. These sleek slippers are just for ghouls and add a bit of character to your favorite fall pieces. These pumpkin flats are also a great way to wear a "costume" on your feet when you have to deal with pesky work dress codes. Pair these flats with a matching pumpkin clutch and a collared black and white dress for an easy Halloween style. So Shoe Me a pair of jack-o-lantern flats that will carve a ghoulishly good Halloween theme into my favorite fall pieces.